I thoroughly enjoyed the second Bicycle Quarterly Un-Meeting this last weekend. It had seemed hard to top the first-ever Un-Meeting, but this year’s gathering was at least as much fun! 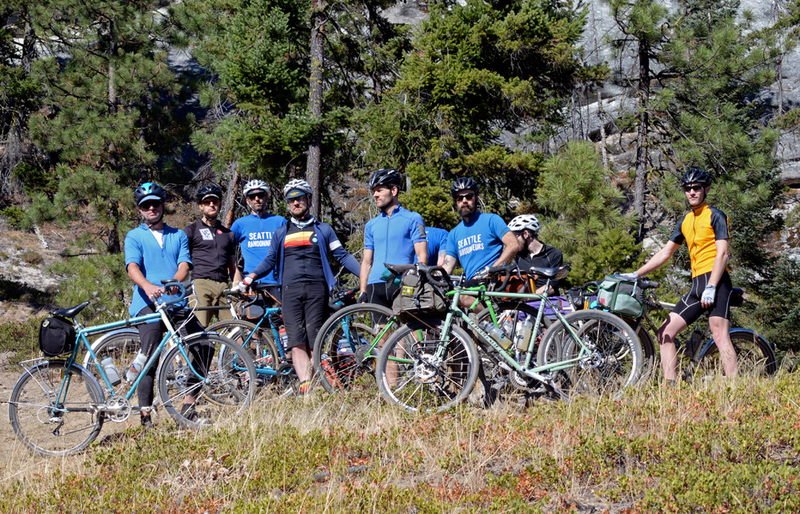 About 50 cyclists met in Cle Elum for a day of riding and good company. 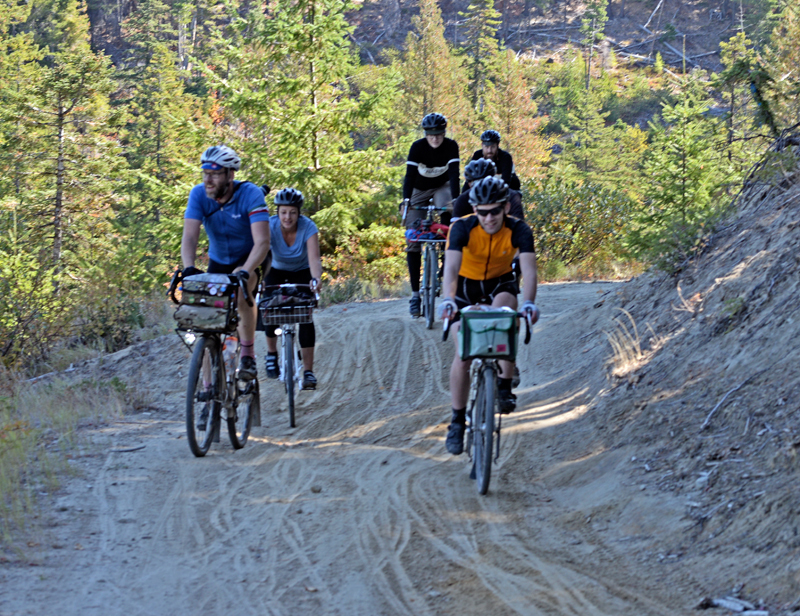 The group split up into a “paved” ride that went up Old Blewett Pass and an “unpaved” ride that explored the Teanaway Hills. Both had a lot of fun. We had gorgeous weather, and we found some amazing roads and trails. A great variety of bikes and riders attended, with a large share of 650B wheels and wide tires. 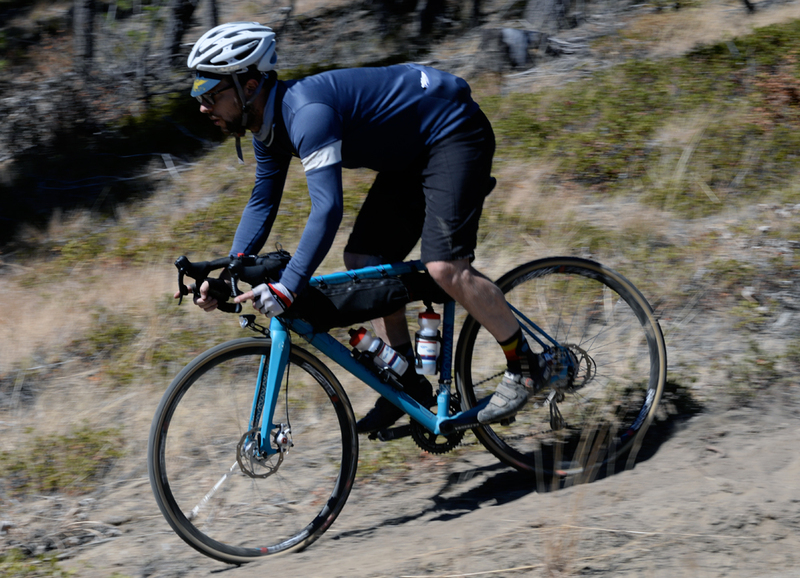 Many of us were surprised what you can do on randonneur bikes, but others did fine on cyclocross bikes. The riders on road bikes preferred the “paved” ride. Despite the somewhat rough terrain of some of the rides, there were next to no mechanical issues: just a few flat tires and a broken light mount. Clearly, the participants knew how to ride, and their bikes were set up well with reliable parts. This meant that there was very little down time required to deal with bike-related issues, and all the more time to enjoy the ride. … and Gerolf Meyer from Germany, formerly of the magazine Fahrstil, who now has his own radio show about bicycles! They really enjoyed getting a glimpse of riding off the beaten path in the Pacific Northwest. The remainder of the crowd were from closer by in the Northwest. Since this was an “Un-Meeting”, it was slightly “un-organized” and thus impossible to get everybody into a single photo. 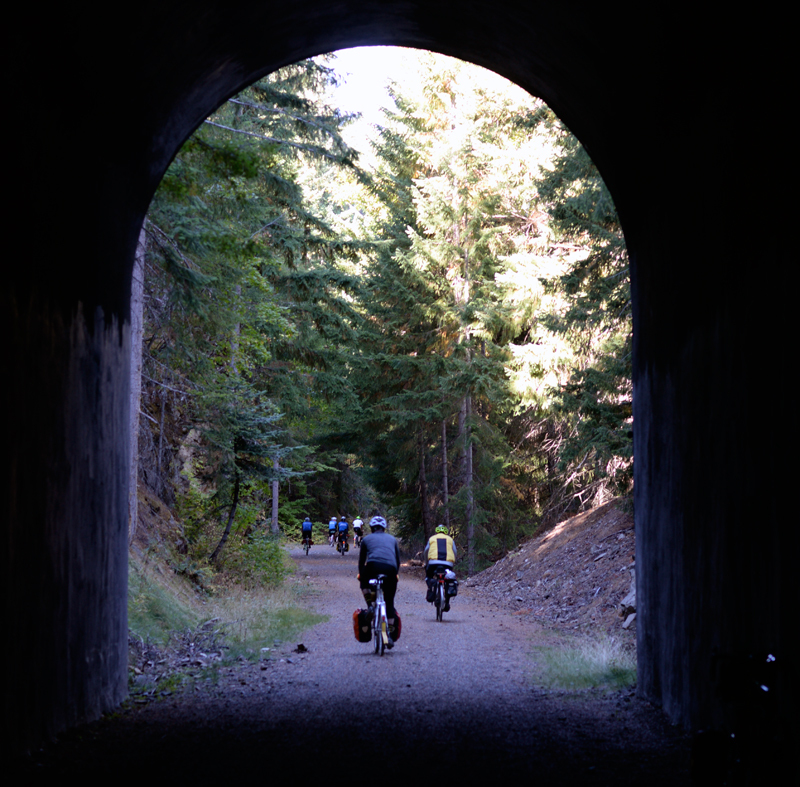 On Sunday, many of us rode back to Seattle via the Iron Horse trail. 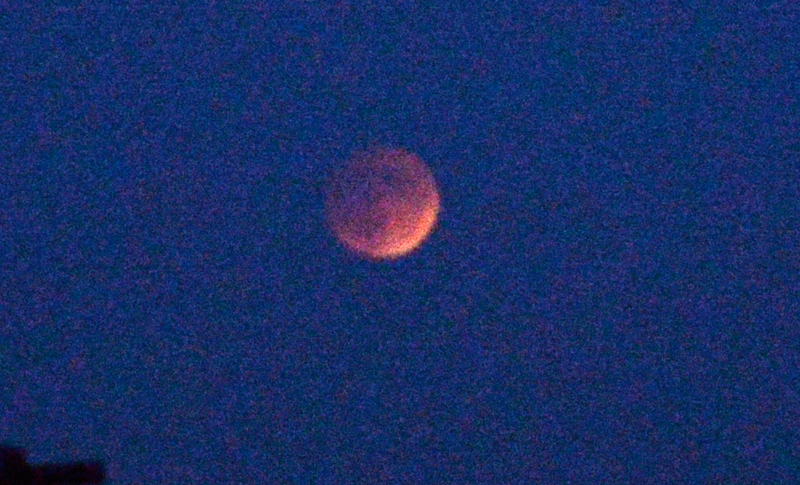 And coming back to Seattle, we were even treated to great views of the lunar eclipse and the sunset… a great ending to a wonderful weekend. For more photos from Un-Meeting participants, check out the hashtag #bqunmeeting on Instagram. Update 10/2: Fred Matheny’s home state and job title at Bicycling magazine have been corrected. I’ve been perusing photos of the Unmeet taken by many of the participants and posted on Instagram; it looks like it was another great event. Has anyone mapped the trails and roads employed during the event? I’d love to visit that country someday soonish. Jan is loath to acknowledge such things because so many people are slaves to their stupid garmin devices on brevets. While he insisted “we’ll navigate with paper maps” that didn’t actually happen in the Teanaway, everyone leading was using GaiaGPS with offline maps sourced from USFS, USGS, and OSM along with Aerial Imagery to reconnoiter and make up new plans as we got split and missed turns. Thanks for compiling the courses. In fact, I had bought a Garmin for the trip myself, but with so many others in evidence, I never pulled it out of the handlebar bag. Did anyone use the paved alternate route over Snoqualmie Pass? It looks like it’d provide a good alternative for when the tunnel is closed during Winter—barring deep snow of course. I came over the old highways to Snoqualmie Pass and picked up the trail on the other side. 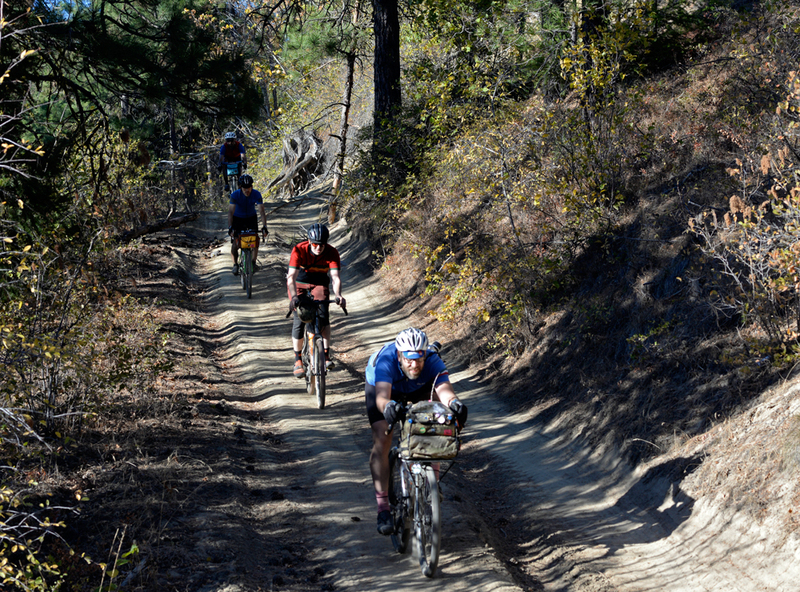 It involves about 4 miles of freeway shoulder, and maybe 10 miles of smooth gravel. 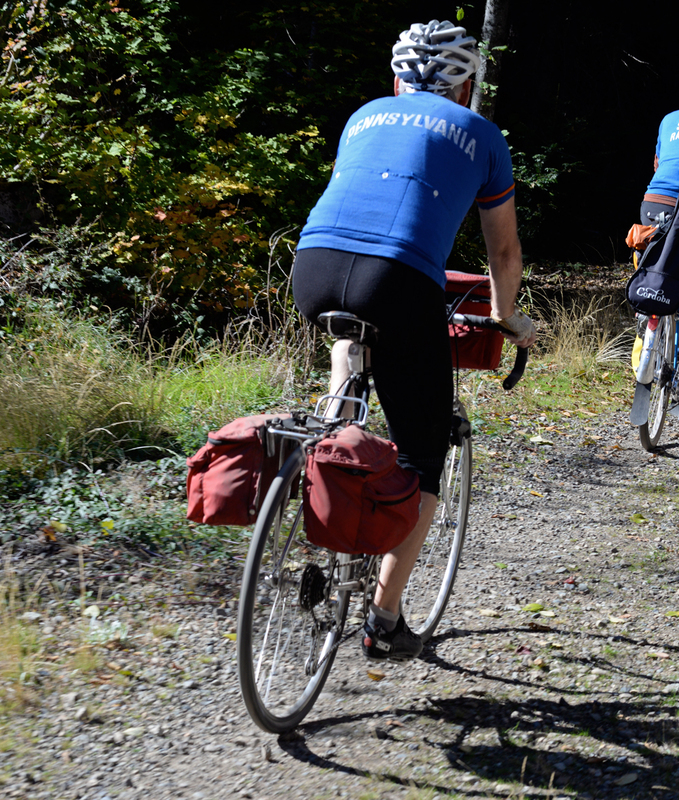 East of the pass, the gravel trail is the only alternative to the unpleasant freeway shoulder. Thank you for sharing those routes. I would also like a GPX track or description of the route. It looks like the kind of ride I would enjoy, but unfortunately I was not able to go to the Un-Meeting. Did anyone record this ? I found the route from the 2014 Un-Meeting on RideWithGPS.com, but no luck for this year’s route, so far. I have my route out and back on RideWithGPS and will be uploading maps of my GPX track very soon. The low saddle issue mentioned in my earlier comment caused a knee injury for me, so I only have part of the rides in the Teanaway River area tracked. If you’d like to go out there I wouldn’t recommend trying to follow our exact route, but to explore and choose your own adventure as we did. 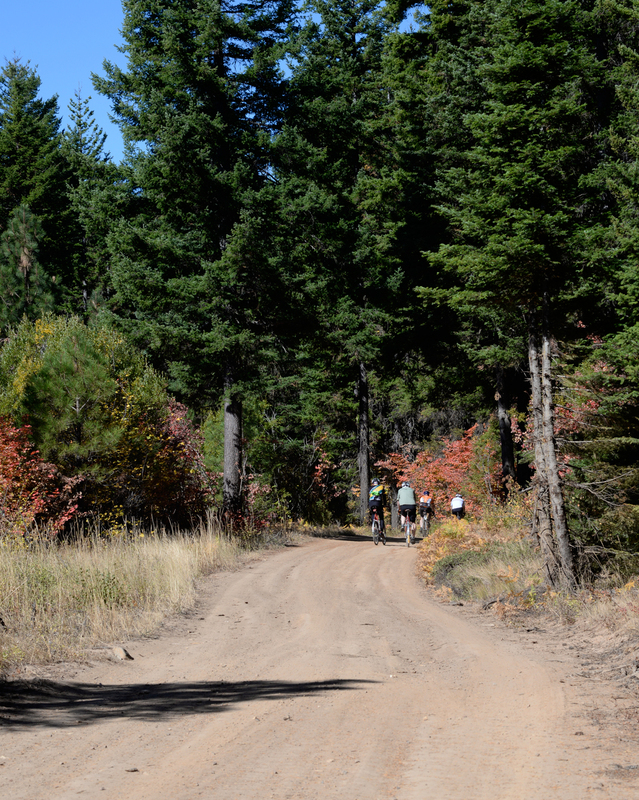 http://www.cascadesingletrack.com/WenatcheeNF/Teanaway/trail.html is one of the best resources for the area. I also recommend using http://caltopo.com to compare maps, it has great printing functionality too, or you can use GaiaGPS on a mobile device. Naches is a poor example, besides the trail there’s several roads also crossing that pass with signage and different options to link them together, not even counting Green Pass or all the other trails on the east side. Certainly I can modify the routes a bit, but I feel that I need some kind of route as a starting point. It seems that in the Cascades, there are thousands of roads on the maps, but some of them don’t exist any more, And sometimes roads that exist in reality are not on the map. I found this to be the case with printed maps, Garmin 24K topo maps, Google maps, etc. Sometimes I’ve planned a loop based on a map and found that in reality, one of the roads doesn’t exist, forcing me to backtrack many miles and thousands of feet of climbing. So I really like a route that someone actually rode recently. Thank you for sharing your routes. The most important thing is to go out and ride… Fred’s routes are a great starting point for exploration. I had a lot of fun out there with you guys, despite my trouble keeping up: I found that my seatpost was 3cm lower when I got home compared to a week earlier, but that slippage occurred before the start of the ride out to Cle Elum. It’s not too easy riding hard for a long time while supporting one’s own weight like that! Can’t wait for next time. Hopefully I won’t have such a mechanical problem hindering me. Who’s the guy with the Bleriot? Nice bike!